It is exam time! Sometimes we get caught up studying and we forget that our brains need time to process. Time Out is a great app that reminds you to stop and take a break on your computer or device. You can set an easy timer for any amount of work time and break time. It forces you to stop and take a much needed break from your processing. During that time I would recommend some physical activity or even take a nap. “Napping for 10-30 minutes has been demonstrated to increase alertness and improve performance.” – Hallie Smith, Scientific Learning So, remember to stop and take a break using Time Out to get the most out of your study time. It is the time of year when students graduate and move on to that next chapter of their lives. Staff move on to other locations and generally people move. With Google providiing unlimited space in Google Apps for Education, many of us have litterally tons of things built into our Google Drive. The best tool out there for moving all of this is Google Takeout! It is an amazing tool. It will capture your email contacts, mail, drive, G+ and everything else you have attached to your account. It helps you avoid missing something in transfer. Check out Google Takeout! **You need to have another account ready for the transfer and depending on how much stuff you have you might need to purchase cloud storage. Google sells it here is the link to Google’s Pricing Structure for Cloud Storage. Want to watch Youtube Videos without the advertising? It is possible with Watchkin! This simple site allows you to paste in a Youtube URL and sign in with your Google Account (its free). Then you can either search in the search bar or paste in a Youtube link and your video will appear without the adds or distrubing images on the sides. (See image below). It is that simple to have advertising free youtube videos. *It does not allow inappropriate content. EnjoyWatchkin. It seems that more and more documents are crossing my desk via Adobe PDF. This is great as it means less printing (SAVE THE TREES!). However it often means a lot of reading on the computer. Sometimes it is nice to have these documents read to me while I am doing other tasks. Check out Adobe Read Aloud. You already have it if you have Adobe Reader on your computer. Simply open the adobe document and go to View and Select Read Aloud. Then select either Read to the End of the Document or Read this Page. It installs the reader engine and off it goes. By going to the Adobe Preferences you can change the voice, speed and a few other options. It is a great way to read books, papers and articles while you are doing other things. Enjoy Adobe Read Aloud. PDF’s can be great and helpful. Usually you have to submit these pdf’s to some where or need to send it to someone. As a result sometimes it is necessary to compress these files so they will go through email or meet system upload requirements. Smallpdf is an awesome site I found that actually takes your pdf and magically compresses the file to a much more manageable size. I tested a 55mb file that needed to be uploaded to the IB website and their limit is 50mb. We compressed it and it was 2.74mb! File went up fast and easy. Try Smallpdf! IT HAS FINALLY ARRIVED! I’ve been predicting for a long time that Google would come out with the best voice typing tool. In other tech positions I’ve held in the past I have tested this types of tools literally for years and they were hard to setup and generally not that good. Today I tested it. Voice Typing is AMAZING. It is accurate, easy to use, takes no setup, it worked on my phone and ipad. To put it simply, it just works. 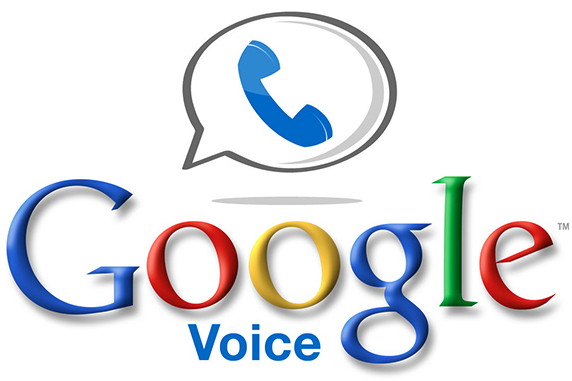 On your computer, open a new Google Doc > Tools > Click Voice Typing and a microphone shows up and begin speaking. For your phones or iPads, download the Google Docs app and at the bottom of the keyboard you will find the microphone icon. Click it and it works the same way, just start speaking. Finally we can stop typing and start talking. If you need more help setting this up take a look at this Doc. Right now do you have more tabs open than you can actually read? I do and it is generally a problem. Having too many tabs open can slow browsers, be distracting and generally less than productive. Here is something to try –OneTab – it is a simple add on to Chrome or Firefox. It takes ALL of your tabs and moves them into one page – it is very similar to a bookmarks page. I will say it is a bit un-nerving at first, but after a short time it is great. If you want to have all the tabs back up all you do is click the ‘restore all’ link and all your tabs quickly return! It is a simple extension and takes not tome to install. Since most of you are coming back from your GCW – hope you had a great experience – I thought I would recommend a photo editor. Loads of people do not really like the newest version of Photos for various reasons. However the new Photos has an abundance of tools to manipulate your photos. Simply open Photos and then click the ‘Edit’ button in the upper righthand corner. You can crop, rotate, edit, filter, retouch and many other manipulations. It is a great way to make those photos really stand out. 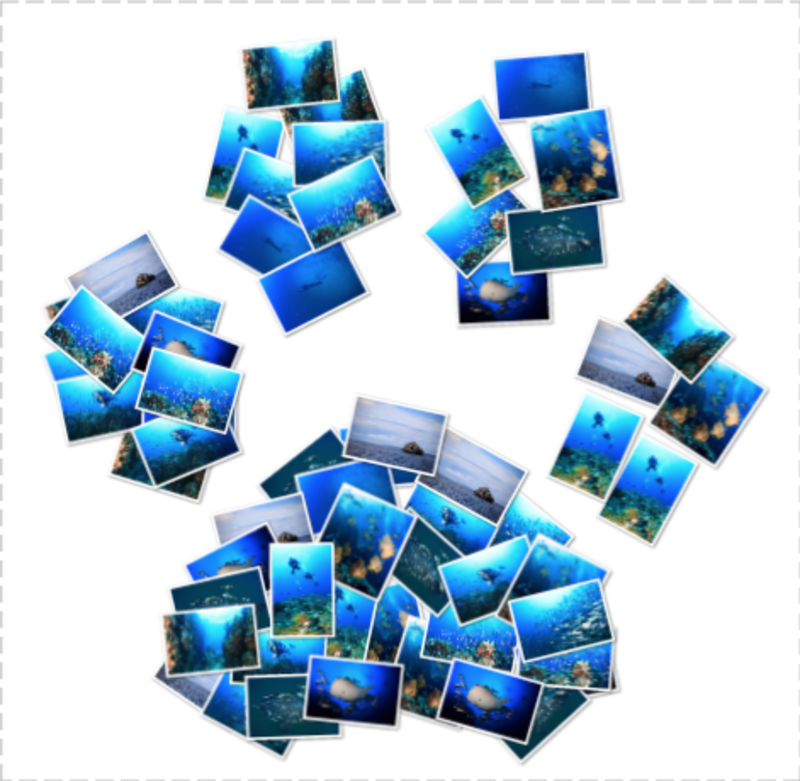 Here is a great how to for editing your photos with Mac Photos. I am always on the lookout for Extensions or tech tools that help us improve our productivity and reduce distractions. I’ve recommended WebTimer in the past but recently I came across Time Tracker. This is a great Extension for Chrome that actually tracks the sites you are on and the actual time spent on that individual site. The beauty of this tool is that it provides time and percents as well as a downloadable Excel worksheet. This is a great way to identify where you are wasting time and how much time you are spending on specific sites. Check out Time Tracker! Have you ever struggled with a stubborn pdf? PDF’s are great for maintaining the continuity or protecting docs. However if you want to edit them you need a third party program or an Extension for a browser – check out DocHub! This cool extension allows you to edit, sign, annotate and much more to any pdf. It also allows you to use your phone to sign pdfs, and gives the abilty to rotate or just flat change a pdf. This is a great tool especially if you work with IB and the pdfs they constantly want edited. Great tool – check out DocHub. Staying with the theme of avoiding plagarism… Here are 2 resources for you. If you want to check any doc, docx or pdf against another document checker than Turnitin.com try DOC Cop. It performs a similar type of search. It is free and easy to use. Simply create an account using an email address. I am always on the hunt for great images that are released for Creative Commons licensing for use. Check out Pixabay.com. It has a very large database of images, it is easily searchable by keyword. Another cool feature is that it is also categorized for easy browsing. It makes looking for those beautiful images for presentations and products much easier. Added to this, the advanced search will allow you locate vectored images, illustrations, videos and layout types. Pixabay.com is great! I had heard of this program but really did not check it out until an English teacher showed me. (Thanks Rich!) You can use the Hemingway editor site to evaluate your writing style. It will give you great feedback and recommend changes simply by copying and pasting your text into the online editor. There is a desktop version with a lot more ‘bells and whistles’ but the online editor does the trick! Simply go to Hemingway App.com and then make sure the Write switch is turned on. Then paste your written text or write your text right there. Switch it to the Edit button and now you will see the Readability of your text as well as Voice, Choice and difficulties. It is a great check on your writing style and very helpful. Check out the Hemingway App! If you haven’t visited your Google Docs via the Apps screen recently you may be missing something! Recently they installed a bar that provides access to all of the templates installed. Creativity is something I often find missing in Google Docs. The templates in both Pages and Word are nice and add a ‘professional’ look to your documents. Now you can add that same professional look to your Google Docs. Simply go to your Google Apps and the select either Docs, Sheets, or Slides and you will be pleased to see a ribbon with the best templates loaded. Start making those Google Docs look good! Use templates. Love Word Clouds or Tagsedo? Then you must check out Loupe Collage! It is a simple free Extension for Chrome. You can select where your folder of images comes from and then simply upload the selected images. Finally select what type of final ‘collage’ you would like the pictures to show up in. Really a fun kind of Extension to create with. Enjoy my pics from Koh Samui diving in a Loupe Collage. Apologies – I was away on a much needed break. Here is a new tech tool I am really excited about. Are you a Podcast lover? I was and then I kind of let them go a little bit. Well get ready to enjoy – check out AudioBoom. It is an easy Podcast feeder. Which means you can setup a free account and then subscribe to any number of Podcasts you like. Explore sports, science, public news and much more. However, the added benefit of AudioBoom is that as an educator you can setup a free Education Account and then podcast for your class. If you are a flipped classroom fan this is a great tool. Also there are various schools that are putting out podcasts as part of their curriculum. One that caught my eye was from Saint Columbus College in Dublin – they break down some of the lesser known characters in HAMLET! Check out AudioBoom today! With our refocusing on the importance of citation, sometimes if feels like we cannot find great images because they are watermarked. NOT TRUE! Check out the Google and LIFE (magazine) collaboration. Here you can search an amazing database of LIFE Magazine photos by year. Locate award winning photos that display, history, passion and strife all over the world. The images are organized by decade but can then be searched by topic. It is a great trip down memory road. Try Google LIFE Photo Archive! This week I would like to send out a link to the Technology Tips and Tricks page that I maintain. This is a site that has all kinds of valuable tools, tips, and tricks to make your technology more valuable and efficient. The tools here are all free, reviewed by me and valuable to teachers and students alike. If you have any questions about any of these tools please let me know. Enjoy the Technology Tips and Tricks! About a year ago, I started telling people that speech to text was not that far off. This is the ability to record what you say and have your computer type it. It really has been around for some time, but until recently it hasn’t been that good. Enter Speech to Text Add-on for Chrome. I’ve used loads of different programs to accomplish this task and at this point it is clear that Google is winning. The Add-on works great for your computer and better yet it allows you to type right into a Google Doc! It already existed for iPad and iPhone but now with the Speech to Text Chrome Add-on you can use it on your computer. It works GREAT! Stop typing and start talking! Just another little tip today – if you want to join me in using GoodReads to share what I read as a librarian and also see what your friends are reading sign up for a free GoodReads.com account with your Facebook Account or Google Account. Finally if you would like to add a little image of a book and tell your friends what you are currently reading us the GoodReads widget builder. Inside your GoodReads account click on ‘My Books’ and then ‘widgets’ which can be found on the left-hand side of the screen. Then build your ‘Currently Reading Widget’ and add it to your emails, blog or where ever you post! If you would like to follow me, Click this Link! We’ve been going back and forth this year about which citation tool is best. I am ready to make the call – RefMe Wins. Yesterday RefMe released an update that I catches it up with EasyBib. They now have it ready to cite Youtube, Imbd and many of the other cites we see all of the time. The only thing I see EasyBib winning now is that they have a search built in. However the big win for RefMe is that it actually does complete citations. Both provide the extra boxes to fill for citations if the information isn’t available BUT when I did a side by side test it was RefMe that turned out the consistent quality, consistency and thoroughness. RefMe.com! As things move more and more to be cloud based apps are coming along that streamline our work as educators. Are you ‘flipped classroom’ guru? Get ready for MoocNote.com! It is as easy as any video annotator but it has huge potential in that it is build for complete unit use. Simply import (copy and paste the url) into the box provided and then begin building your lesson. You can attach notes, make a quizz and embed it in other systems. Really a great new Video Tool! Try MoocNote.com. We often forget all of the free resources that are available. The Library of Congress (US) maintains a massive database of resources. They literally have 18 million catalog records for books, serials, manuscripts, maps, music, recordings, images, and electronic resources! They also do an amazing job of categorizing what is in this catalog. Take a peek, things in your curriculum area are likely to be there. Just a few worth mentioning: Sound Recordings, Prints, Manuscripts and Maps just to name a few. Take a look at an old favorites that continues to grow. Check out the Library of Congress. This year I am back to my old ways in that I have always been a Librarian and Tech. Philosophically it makes so much sense to combine the technology needs of students with the every changing world of libraries. Searching, researching and embedding technology simultaneously is the way of the future for libraries. To this end I am going to start doubling my efforts. From now on you will receive both a library resource AND a tech resource. I am rebuilding the Library Website – it is coming along. However a critical element that was requested was a stronger resources for MLA citations. Take a look at the NEW MLA Vocab and Resources Page. It has all of the MLA vocabulary defined, it has technical resources to help you in citations, it has some great examples. Take a look at the MLA Vocab and Resources Page and give me feedback. I am back! It was a great summer for recharging my batteries and getting things going again. I hope you all have a wonderful start to your year! I have a couple of things for you today. This can be a real problem. We all want to have our stuff out there for friends to see but we don’t want any of our personal stuff to be accessible to strangers. Here are guides to Google and Facebook privacy settings. People are always asking me, ‘How safe is my stuff with Google?’. They actually sent out some good info on their privacy settings and tools. Check this out. Just in case here are the Privacy Settings for FaceBook. RefMe is one I recommended towards the end of last year but I wanted to send it along early this year. It is a website, an app and a citation machine. Basically you can collect all of your citations on the website OR within the app. On the website you simply search for your book, magazine or whatever. If it doesn’t find it the boxes appear to fill out. Then it creates your citation. The App is even cooler – it has a scan feature. Scan the barcode of your book, magazine or whatever and it builds the citation! It is amazing! Need to remind your students of assignments and exams? Want to make your class more interactive? Try Remind.com – this application has been a round for a while, but recently it added a few features like ‘Chat’ which make it a very robust tool. You can create an account with your Google Account for free. Then you can either post the QR code or the Class Code (both provided by Remind) and students, parents or anyone with the code can sign up. You can then send SMS, emails or chat with your users. Added to this you can attach documents or pdfs to share with your class. This is the simplest tool I have seen that can make a huge impact in your class today! Give Remind.com a try and get connected with your students. Ever need just a snippet of a speech, song or communication? Youtube MP3 Converter is AWESOME! Simply capture the link from the Youtube Video you want. Copy the link and then paste it into the site: http://www.youtube-mp3.org/. Very quickly you will get options to download the audio from the video that you had in mp3 format. This is a universal audio format that you can then import into iTunes or any other audio player. This is great for PodCast, Sound Bites and many others. It is just too easy not to try Youtube MP3! 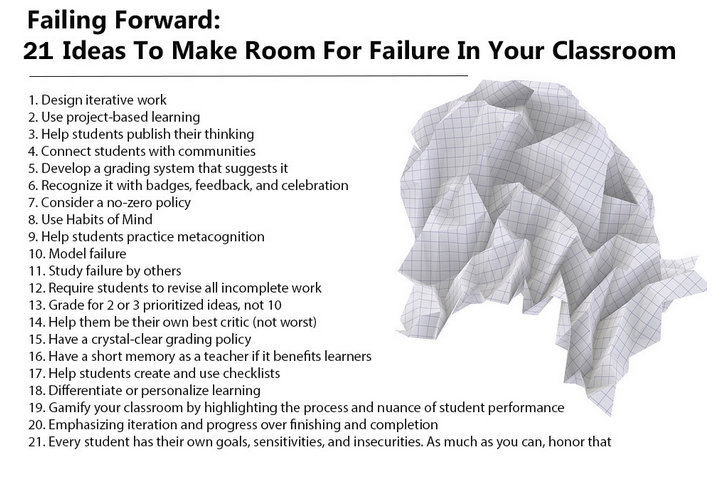 I recently read a great article on ‘Failing Forward: 21 Ideas to Help Students Keep their Momentum’ Many of these you will know others you might want to try. Number 2 on the list is one of my favorites – ‘Use Project-Based Learning’ – Technology can be a huge part of engaging students and providing opportunities to fail and revise. It is that time of year – EXAMS – they are coming and one should start preparations. Making Flashcards is a simple but effective method for review. Here is Cambridge English Online Flashcard Maker – a cool little web based program that allows you to create flashcards. It will also allow you to but as many as 8 cards on a page. It also allows you to print the cards in a ‘Green’ method. Try out Cambridge English Online Flashcard Maker! Many of you know about Creative Commons for royalty free photos however this can be a cumbersome process. Introducing PhotoPin! This is an easily searchable database of Creative Commons Licensed images for free. I did some quick searching and it provides the licensing information and allows for multiple size downloads. This is a very easy answer to the copyright issue with images used for presentations on the web. Simply locate your image, then download. Next Copy the licensing text and paste into a post, website or any other source. Try PhotoPin! I am always looking for ways to use Google Apps in the classroom when I came across this Google Sheet created by Aggie Salter. I generally like to recommend a single resource, but this Google Sheet was just too good not to share the whole thing! The sheet is constantly being updated by Techies with Google Apps by Subject Area. It includes links to different Apps or Extensions for Chrome that are SPECIFIC TO YOUR CONTENT AREAS! There is no way to explain all of these but, it does provide a wealth of great ideas and options for use in your classroom. Please let me know if you try one that you think is really exciting. Let’s create a dialog of ideas and share them. Check out the Google Apps by Subject Area Resource List! Possibly the coolest resource I have used! A new way to locate and share resources – as well as formative test is to use Blendspace.com! You can locate (by topic!) resources add them to a cool board and then create a super quick quiz. Then you can maintain these ‘boards’ for later on. It looks and feels a lot like Pintrest for Teachers! I just searched Macbeth and got some really cool ideas, examples and videos from all over the web. You can use your Google Account to create an account for free. Then create your lessons, use their cool Templates or Themes and go to work. Enjoy Blendspace. It is always a good thing when a teacher suggests a tool, suggested by their work with a consultant. Thanks Brad and Penny Kittle! Today I recommend Draftback. This is a Chrome extension (it only works in Google Chrome). It takes a Google Doc and allows for ‘playback’ of revisions. This is a great tool for us when Individuals or Peers are editing writing. Draftback keeps your writing yours and allows you to keep it private. Unlike other programs (turnitin.com) your writing is not shared or sourced for others. It is an extremely powerful way to look at revisions to writing with an eye for improving personal editing skills. Try Draftback. Just found the most amazing tool to help ANY Teacher that has students write. ProWritingAid is a great tool and has a lite version for download. However the Add-On for Chrome creates some really valuable reports! This cool add on will produce reports that look at plagarism, consistency, overused words and much more. This might be a tool to purchase in the future. If you get a chance give it a try and let me know. The data we/students could collect on their writing would be very valuable. Please give ProWritingAid a chance. If you are looking for ways for students to tell stories, make connections or to just see some cool information try out MyHistro! They are calling it a timeline tool, but it is really great for telling stories. Students can log in with their GMail account and then search existing stories or build their own. They can identify locations of events on maps, add information like dates, links and pictures and then put it all together in a clickable format – it works like powerpoint where you click through the slides. There are also some great ones created by others – French Revolution, Early Christianity, William Shakespeare’s life and many others! Check out MyHistor! Recently we created a Google App for IASAS and to be honest it wasn’t that hard. (I wish I could say the same about the Apple version but it was WAY MORE COMPLICATED.) However, I thought I would share the site where I learned. It is very easy and all free. If you were ever interested in Coding or Programming OR if you have some cool ideas for Apps this is a great place to learn. http://codewithchris.com/how-to-make-an-iphone-app/ – He has great video tutorials that work! Wikipedia has never been my favorite web tool – however things are always changing and I came across this. It is the List of Academic Databases and Search Engines. Bookmark this site! Link to research lessons, presentation building or almost anything for students to locate and identify answers. Teaching students the skill of locating and answering their own questions with reliable sources is a key skill they will need in the future. The list is broken down by both Discipline and Access so you know which ones are free. There are great things here – give the List of Academic Databases and Search Engines a try! Sorry I was gone last week – I was busy running the Laguna Phuket 70.3 Triathlon! I survived and I am back in the saddle. 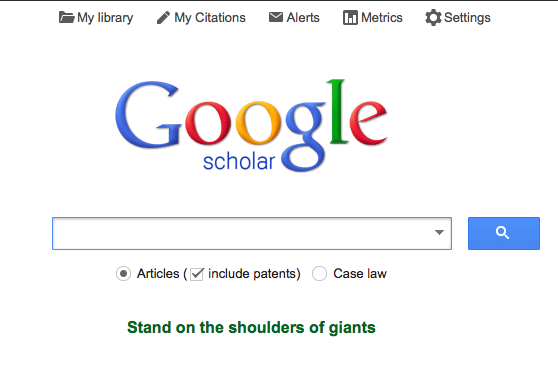 Here is a bit on Google Scholar. Ever print a website page and get everything but what you want? Me too! Try PrintWhatYouLike.com. This is a free app and Chrome Add on which helps you tell the printer what you want and don’t want. If you use the Chrome Add-On (which I highly suggest) it produces another window for printing with options to remove, images, sidebars, and backgrounds. It helps reduce the number of pages you print and also ensures you are only printing what you need. Finally an answer for printing websites properly. Try PrintWhatYouLike.com! I used to be a Social Studies teacher and I loved timelines. Kids used them for presentations, for note-taking and we created whole class built timelines. They are a great way to synthesize a lot of information in linear format. Introducing Tiki-Toki! This is an AWESOME time-lining tool. With your free account you can build timelines (even 3D timelines)! Cool features are that it forces students to cite intro and background images. It also allows you to set times or dates whichever you like. They can put any type of media into the timeline including: videos, images, text, flash movies and much more. For those advanced students they can actually code Java scripts to work in here as well to create demonstrations. This is the next level of tools for students. Try Tiki-Toki.com. Backchannels are a great way to start discussions, gather questions, give everyone a voice or to create group thinking. There are two really good ones that I suggest. The first is Padlet. It creates a great open space where anyone can post any question or answer any question.One of the best features of Padlet is that it can be shared, downloaded, printed or saved. Today’s Meet is the other one. This one works very similarly except that it limits the number of characters. However it is completely anonymous. A very simple implementation would be to use either one as a way to poll the class or as an exit ticket. Either tool provides a place virtually for you to interact with students. Try Padlet or Today’s Meet! Today is just a fun one. 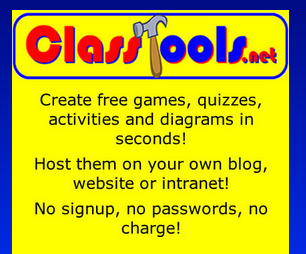 ClassTools.net is full of cool apps that can add to ANY classroom. There are timers, educational video games, QR Code creators and much, much more! I know I tend to want to ‘Spice up’ classes around this time of year. So take a few minutes, play with something fun and try it out in your class. Try ClassTools.net! Looking for a new tool for presentations? Try emaze.com! By signing up you get a free account which allows you to build presentations up to 200mb. There are some really captivating themes on this online tool. It works a little bit like Prezi, but it is MUCH EASIER. You can embed video and pictures or any other media. Added to this you can upload existing PowerPoint presentations. It is a really cool and simple to use – try emaze.com! LucidChart is an amazing tool that is being added to our Google Apps. It can create MindMaps, Diagrams, FlowCharts, and can be shared like any other Google Doc. I’ve tested this one and it is very easy to use. It is also very robust in that it will allow merging of charts, as well as layers. It is a very simple tool and can be used to create interactive workspaces for students. I highly recommend this LucidChart for students. Many of you have explored online type whiteboards. These are like the old whiteboards a student might use in class except that they reside in the ether (online). The benefits of this are that you can usually download and share thsese items. Also you can use them with multiple classes. As part of your Google Drive you can add the RealTimeBoard App – it connects to your Google Drive allowing you to share the Whiteboard just like any other Google Doc. I creates an open workspace where you and your students can collaborate. Here is a video with all of the features of RealTimeBoard. – Check it out! As we entered the Finals time of the year it is time to begin the review sessions. If you’ve every watched Jeopardy you know it is a fun and exciting game. This website – Jeopardy Labs – allows you to build your very own Jeopardy review game. Simply create an account (all you actually need is a password) and then start building. You can copy and paste your questions and answers into the game board. Then start playing! Jeopardy Labs is COOL! Most of you have heard of the SAMR model (and if not it is worth a Google). I was looking for new little tech tools for today’s resources and came across this. It is a great interactive image explaining the model. Enjoy! Dave, a friend of mine, shared the combined use of Student Blogs and Netvibes. He uses the student blogs to increase writing in his classes, to allow students to ‘publish’ work, to improve communication and to provide a reflective opportunity for students. Then he uses Netvibes to pull in all the feeds from the students. Netvibes is a simple RSS Feeder – this means it draws a feed from websites that you select. Any time any of your selected websites is updated, it is ‘feed’ to your Netvibes page automatically. This is a terrific way to create and gather resources as well as manage lots of incoming information. Another great way to use this tool (and I use it this way 🙂 is to have pages that pull in feeds from all of your professional education websites. This way by looking at t a single Netvibes page I can get the most up to date information in the field of ed tech. Finally, you can then make pages public to share these collected resources with others. It is a great tool with added benefits when combining it with student blogs. Take a look at the kids work on their Netvibes Page. Nice job Dave! I’ve been using Haiku Learning for nearly two years now and I am AMAZED at how easily staff implemented. It has all the tools a good Learning Management System would have. It has discussions, wikiprojects, video, audio, youtube and google integration, online assessments, grade book and so much more. I highly suggest you try Haiku. Added to this they just released their new iPad App for Haiku! Take a look at the app it seems really good – let me know what you think. Mind mapping is a great way to start thinking about a topic, planning projects or simply brainstorm. MatterMap is the latest technology in this field. This is a very robust site. It provides a place for students to capture quotes, put in citation information and manage findings. Then it allows users to develop their own Mind Map (MatterMap) about the topic. Images, Tech, Quotes can all be built around a single idea. Then this can be printed or shared as needed. It is a great tool for visualizing thinking. Try out MatterMap. Exams are always stressful. Want a new and exciting study guide? Want to create study guides that your friends will love? Try out ExamTime! This is a place where students and teachers are building study guides to make exams less stressful. There are literally 1000’s of study guides for you to choose from. You can create new study guides as well. Suggest them to students or your friends. You can also Embed them in a Haiku or Share them out via social media. The Create Button allows you to make a Mindmap, Flash Cards, Quizzes or build Notes. It is very easy, free and provides great resources! Enjoy ExamTime. A friend showed me this nice little extension for Chrome. If you are trying to record audio for feedback (especially Formative feedback) Kaizena. Kaizena allows you to comment or RECORD audio feedback. It is very easy to install – go to the Chrome Store and get Kaizena. Then relaunch your browser and open a Google Doc. You can now record simple comments and write comments. Finally here is the short Tutorial Video. Good luck. This is something you might show your students. The Hemingway App provides students and writers a way to critically analyze their writing. It works by simply writing or copy/pasting into the application page. It provides a Readability Rating, counts words sentences and paragraphs and identifies common errors. It is a super easy tool to use and helps students improve their own writing. Try out the Hemingway App. We are constantly seeking to improve our methods of assessment. Google Forms is a great way to capture data and conduct both Formative and Summative Assessments. FollowMolly.com is a great website. She has a page on Innovative Ideas for Using Google Forms. Some of the highlights are Classroom Observation Forms, Peer Feedback Form, Writing and Science Feedback Form as well as many others. She also have the step by step instructions for creating a SELF GRADING QUIZ using Google Forms. Give them a try and let me know. Last week I had a really good discussion about students writing in journals/binders. It is clear that if students are going to be required to ‘write’ for an assessment then writing stamina must be built. However, if you are looking for a similar digital solution, LiveBinders is great. It keeps the look and feel of a real 3 ring binder yet allows for students to manage their own writing with the ability to incorporate editing tools, save, share, and conduct research while collecting all of this in a single location. It is free and there are some great binders created by professionals and shared. For example: there are binders on social media, PLAN Testing, and many more. Here is a LiveBinders Video Demo. 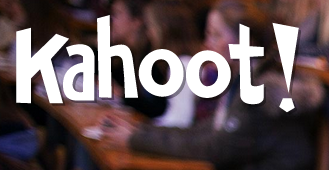 Looking for a way to increase collaboration and raise the level of discussion in your classes? Try out Collaborize Classroom! It appears to be free and has lots of easy options. It runs multiple threaded discussions in a very clean and easy to understand format. It allows you to use it as a Class Starter or Ticket Out the Door. Setup is simply a password and email. You can post images, video or pdf’s to guide or start the discussion. It also provides graphics of responses to questions to complete or assess understanding. Simply mail, post or embed the question for students to access and your discussion is off and running. Here is the link to a discussion I am starting. http://technologyinnovation.collaborizeclassroom.com. WOW! Make FLASHCARDS easily with Google Spreadsheets. Flippity.net is a new site that takes a Google Spreadsheet and quickly (and easily!) makes a set of flash cards. This is perfect for students to use as a review tool. The link I am sending has the step by step instructions. I’ve seen a lot of ‘flashcard’ websites, but this is hands down the easiest – and it is free! *Keep this link as you will need to paste the Share Code from your Google Spreadsheet to create the Flashcards. I had been posting to the main page as I got feedback that this was better. Now I am going to try the old way as it seems there may not have been a huge difference. It is the assessment season. Here are some online tools that might help. I know many of you have used Rubistar or QuizStar in the past. Interestingly Rubistar is part of a set of tools provided by the group Altec or 4teachers.org They used to charge a subsription price, but have since dropped this and are now offering all of their cool tools including QuizStar and Rubistar for free. If you have a chance explore these two tools. They are very easy to use and QuizStar actually grades the assessment itself. As Adobe makes changes to its cost structure, Photoshop becomes less and less appealing to use. Have no fear. This week I will purpose a couple new online image editors that are free! Ribbit is a very simple tool with some extra cool features. It has all of the typical image editing features like crop, light adjustment, contrast and others. Ribbit also allows for drag and dropping of images. However, it has some specific accessories that really make for cool images. It makes really nice and professional looking collages. It is great for vacation or family photos. The one below to 2 minutes! Another way to share your photos professional is to create albums and books. Keepsy is another photo compiler and presentation tool. You can build albums, books or even calendars to share with others. It also has drag and drop features. It is a very nice way to share your vacation photos. Socrative makes it possible for teachers to conduct multiple choice or open ended tests that are available to students via their smart phones. It is very easy to use and free. Just setup an account and you can either create the quiz within the system or you can use the Socrative Excel Template and upload a quiz. It can makes that quiz more interactive – try Socrative. PollEverywhere has been highlighted before, but it is now available for mobile use. It is very simple and easy to use. Simply create a free account (warning: limited to 50 users at one time) Then create your poll. It collects the data and then creates a visual representation or graph of the results. This is a fantastic class starter and again makes class immediately more interactive. Try PollEverywhere. Summer is quickly approaching. During the summer we are often afforded the ability and time to rethink what we do in our classes. Below is a model to help drive quality technology integrations vs. technology for technology sake making lessons more valuable. 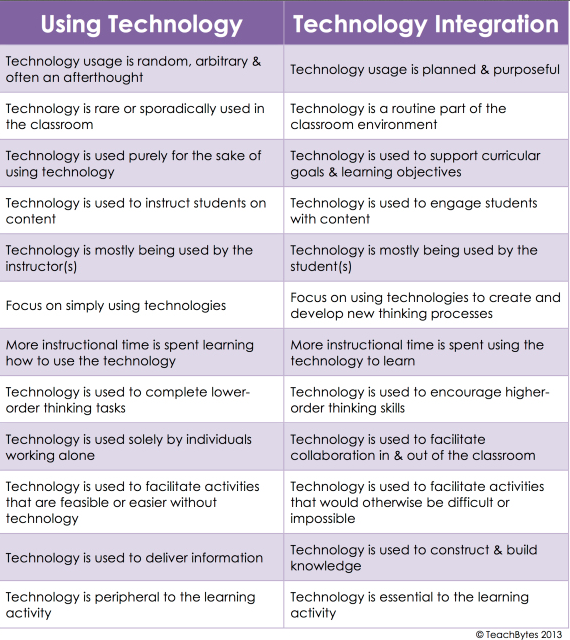 Below that is a list of 33 Different Technologies Teachers should know when integrating technology. SAMR Model – this model was designed by Ruben Puentedura. It is a very clean and easy model to use. This model has applications for everyone from substitution to complete integration. Puentedura suggests that quality integration is a process and takes time as well as revision. Take a look at the SAMR Model. This week I will highlight some tools for creating books as projects in your class. Creating books are a great way for students to demonstrate and share their learning. My favorite book creation tool is easily iBook Author from Mac. It is an amazing tool. It allows you to create your own books or conent with pictures, movies, graphics and text. Then you can upload it to iTunes for download by your students. The students can then access the book as if it were any other ebook they would access on their phones, ipads or computer. You can also export it as a pdf if you want to provide a download for your students. It is a great tool. Try iBook Author. Story Jumper is another book creator. Story Jumper is completely online and if you sign up as a teacher you can setup a classroom account. It is very simple, so it doesn’t have all the ‘bells and wistles’ that iBook Author has but it is quick and easy to use. Simply create a login and off you go. There are templates and different elements you can add to enhance your book. Try Story Jumper. I decided it might helpful to start posting resources in a thematic manner. This week I found some really fantastic Map Making and Data Gathering sites. Hope you enjoy please let me know if you want changes. Have heard some of those scary statistics about the spread of flu or GDP growth? Now take a look at it on a map. If you are a Social Studies, Math or Science Teacher this might be for you. Take a look at Silk Stat. I know so people are totally happy with Google Maps. I also know that sometimes you would like to make your own maps for biking, hiking, trekking, Global Citizenship Week… If you want to build your own interactive maps based on Google Maps with your own style and information check into Animaps. One last thought for this week about maps. Maps are a great jumping off point for information, study, evaluation and great ways to develop critical thinking. Maps are not always geography related. Infographics can be considered maps of information. Take a look at this graphic shared with me by a friend. Here are 10 tools for making Infographics. Online Audio Cutter – Ever need to save a mp3 or edit one? Want to create a unique ringtone? mp3cut.net will open, edit, fade-in/fade-out all online and then allow you to save and download the audio file. It is quite an amazing little tool with VERY easy instructions. Online PDF Annotator – Want to actually fill in the pdf you have without having to print and then scan? Check out the Online PDF Annotator! Via the website you can open and the type, highlight, or even insert links. Then download the completed document in Microsoft Word or as a new PDF. There is also a short training video that makes it super easy. Do you ever use or have students create diagrams. Generally these end up being Excel Sheets or they are hand drawn. Check out Gliffy.com.It allows creators to develop their own professional looking diagrams. They have templates like SWOT Analysis, Flow Charts, Venn Diagrams and more. These charts help users organize information so it is easy to consume. We have been discussing the changes to Bloom’s Taxonomy and what this means for technology in education. It clearly puts a focus on the ability of the learner to create. This change brings technology tools to the forefront. You may have seen the Bloom’s Web 2.0 Taxonomy but here it is again all linked up. Tons of tools! To follow Bloom’s is the Pedagogy Wheel. This is a very clear and effective wheel that can help educators access the proper tool for the proper purpose. This is one of the e-Learning Focuses. Check out the Pedagogy Wheel! Last one for today – and not least – is Go2Web2.0. There is way too much to check out here. I had seen this before but it is a huge resource drop now. It is all linked and pages and pages of tools. Check the Go2Web2.0 Website. Looking for a new creative idea for projects in your class? Checkthis.com creates cool social posters. There are some really cool ideas and is linkable to Facebook etc. It is fast to start and easy to use. A fun project. ePals – Almost all of us have heard of pen pals. Pen pals are nothing new. Teachers have whole classes connect with other classes around the world. In international schools this happens even more frequently. Now there is a tool that will help put this together in an organized and SAFE fashion. Timetoast – Do you use timelines to teach? Timetoast is a cool way to create interactive timelines. Students can use the tool to create and organize information. There are also some great timelines already created for you. It is simple to use and free! Google Hangouts – I demonstrated this to my staff and they really enjoyed it. We are looking to cut down on meetings and this is one way we can connect. This provides the ability to chat, video chat, screen share and connect with each other. All you need is a Google Account. Looking for that perfect website to share with students to enhance research? Need to refresh some of your own resources? Offer Academicinfo.net. This site has a tremendous number of links and is a searchable database. It links to greats, American Memory, Library of Congress, and many others. Another Video website for education! Backpack TV – focuses on STEM Learning and is a fast growing video site. Different levels of Math and Science Videos are available. The videos are very clean and also have an embed code. Almost everyone has a Facebook page and we have all heard how business, schools, employers, etc are now searching Facebook pages as part of the investigation into backgrounds. This can be a little unerving if you have had your page for many years now. I would like to introduce Facewash – it is currently in a Beta format but it conducts a sweep of your Facebook page/posts and then brings up questionable content. If nothing else it is a good way to look at some of the content you may have forgotten was on your Facebook page or to get rid of those images you got tagged in without knowing. I have been exploring ePortfolios and there is a growing number of companies building these types of systems. One that I recently explored was Pathbrite. While I am not completely sold on the value as a professional ePortfolio I do think it is a TERRIFIC vehicle for a student presentation of work or ideas about a topic. It is simply a collage of images and websites that can be related to the same topic. This is both a resource and just a cool event. This is an American based event, but anyone can sign up to take part. When you sign up (which is free) you get access to Tips of the Day, Toolkits, Resources and many other things. You can also have your own celebration and share it through this site. Signup at Digital Learning Day. Welcome to the new year. It has been a while but hopefully you return relaxed and ready to advance education for all. Google Power Searching for Teachers – A while back I recommended that people look into the new Google Teacher Resources. Well one that I played around with this weekend was their recommendations for power searching. They offer a whole class on the topic. However, there is a Quick Guide that is actually very useful and could be used with students. Check out Google’s Quick Guide for Power Searching. After the new year many of you probably have photos from your fantastic vacation or time spent with friends and family. Sometimes it is nice to great short videos of your pictures to share. This is also a skill useful for showing images in class. iMovie is a great tool but even easier is ImagetoVideo.com. It allows for 15 images and a sound file. It then allows you to share a link or embed the video in a blog, Haiku, or website. Lastly, I am a secret fan of Pintrest. There are lots of good things to see on there. I recently looked for educational technology resources and found some really great boards. Educatorstechnology.com put together a nice list of ten different boards worth looking at. Hopefully you will take some time to be with loved ones this holiday season. However, it is inevitable that you will come across things you want to save for later. Pocket is a great app that can be connected to your browser, computer, and phone. It allows you to ‘save’ pages, images and movie links for viewing later in all in one place. Think Evernote or Diigo. If you get a chance check out Pocket. Finally, here is a cool video put out by Google about 2012. Happy Holidays, and New Year. I recently received a Tweet from OpenCulture.com – they had 200 Free Kids Educational Resources! This is a massive list. By this point most of you have either seen or heard of Pintrest. If you haven’t it is definitely worth a look – there are resources and some just plain old cool stuff on there. For example I found this list of the 20 Best Pintrest Boards about Educational Technology. The last one this week is from another blog called Always Prepped – dedicated to teachers. They had a great list of 10 Important Infographics for Teachers. Enjoy. There are lots of new web tools that allow students to create different writing presentations. Check out Fodey.com. Make all kinds of realistic looking written pieces to present. I presented at the Bangkok Google Summit and there are some really great presentations. I thought I would share mine with you on Technology Coaching and the Learning Management System. Edudemic is great. Here is an article about the 20 Best Pinterest Pinboards About Education – tons of resources and interesting information. More Flipped Classroom Resources! 16 Examples of Flipped Classrooms. Edudemic has released its latest version of the 30 Best Web 2.0 Tools for Teachers. 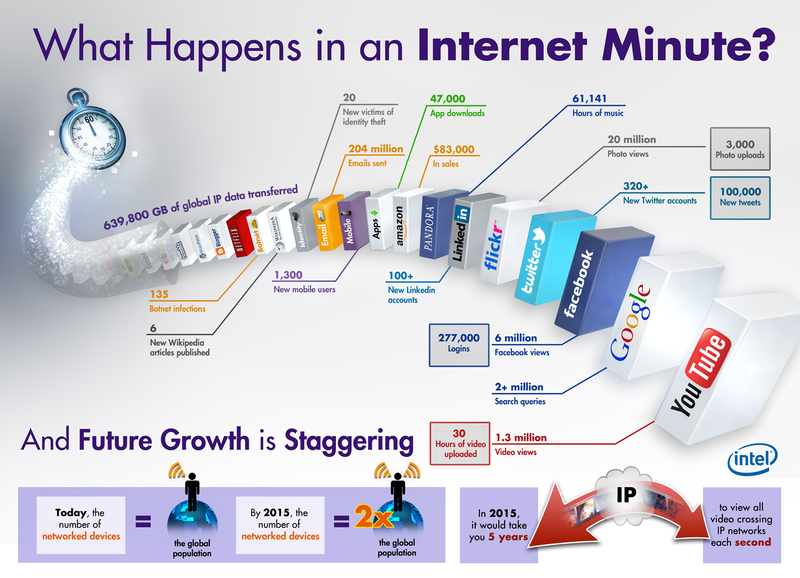 I love Infographics – most of us have seen the ones at Visual ly – they are great. However, creating one through them is difficult. I found PiktoChart is fairly intuitive and kind of fun to use. The free version is a little limited – only 5 images, but all the text and their built-in images you want. I am a big fan of Prezi. It is fun and gives presentations a little spice that those old PowerPoints are missing. They have made it that much easier to use. If you haven’t tried it in the past, give it a look now. It is much more intuitive. Here is a link to the differences and tutorials. If you are full go on the Flipped Classroom idea you should definitely be using Zentation. It will play your presentation and embed video so that the full screen is a standup presentation. This is like having you there to explain the presentation. This is a good one. I have had a lot of recent requests for ‘what’s the best phone?’ or ‘who makes the best computer?’ – Basically technology reviews. I personal like CNET – I have used it for years, I find their Compare Tool very good and if you can’t find it reviewed there, then it isn’t worth buying. Here is the CNET Reviews page. Yep – I took last week off – It was nice, but I am back with some fresh new ideas. A lot is happening right now in education. Many of you already use Youtube for your own classroom videos – Youtube for Teachers – has just been launched and is a great site. They believe they will create the ‘largest classroom’ in the world. This is and will become a huge resource. It has all of the same features of Youtube and then some. Google Strikes Again! – Now as part of Google+ they have created Google Education OnAir – it is a site dedicated to allowing educators and students share groups, ideas and their skills. Simply register and you can receive specific content from individual creators. There are a lot of different ideas, theories and methodologies out there today about integrating technology effectively into classroom instruction. I find that I lean towards the description of Blended Learning. Edudemic posted a great document about what Blended Learning is and how it is done. If you have not seen Gapminder.org and are remotely interested in data or statistical information then you have to check this out – it is just cool. Create your own data displays or use those designed from major data producers. October 9, 2012 Resources! – Happy World Teacher’s Day! Oct. 5th. I have to admit when I updated my iphone and ipad I was a little bummed to lose Google Maps. Never fear – LifeHacker is here with the answer. Check out this fix – Google Street View is Now Available on the Google Maps Webapp – by Thorin Klosowski. Great education blog – Education Apps Review – its AWESOME! Resources and articles. I know there is a Smart Board in almost every room. I also know it is often very time consuming to develop actual lessons that integrate the board into the class. This weekend a spent a little time looking at the SMART Exchange – interactive SMART Board Lessons for all levels. This week I checked out PollEverywhere – this is a very powerful polling tool with so many options, texting, emailing, online – it is great and you can get the results in a statistical format. Checkout my this Poll on Ed Tech Resources. I also did a presentation last week to parents on helping their students independently (and with the use of Parent Controls, Self Control and a few other tools) manage their computer time in a responsible manner. A site I came across was the A Platform for Good Website – it’s partners include internet giants Facebook, Microsoft and Google among others. Finally I tested out Mendely – this is a newer research tool but it is growing fast and has been identified as an up and coming technology. Look for almost any research, you can create folders of research and it generates the bibliography for you. Very cool. This is one you may have seen before, but I really like it. It is simple and effective – Toondo. WOW is all I can say about this site – Full of different tools. Cool Tools for Schools! VuVox – This is one of the more Amazing tools I have come across recently. It does just about everything. It is a RSS Feeder, A Photo Album and a Presentation Tool all in one. Very cool. This week I am also recommending an iPad APP – CaptureNotes It allows you to write, open documents (PDF’s TOO!) and write right on them, it allows you to build folders, to give feedback on any document – in audio, written or typed format. Free image editor (Shared with me by Mr. Chad Bates) – Pixlr.com – almost as good as Photoshop! This month is Connected Educators Month – I think this is a tremendous idea – GET INVOLVED! July 2, 2012 Top 10 Resources! – I’ve been on the road so this week I only had a chance to review a few. They are really good! David Warlick‘s 2cents. This is a great educator site. Full of resources, ideas and commentary. June 23, 2012 Top 10 Resources! Every Want to Have YOUR Students make movies? Check out these tutorials. June 16, 2012 Top 10 Resources! 1. 15 Different Tools for File Sharing! 4. Free Online Research Tools! 6. The K – 12 Wiki Lab – All Techie Project Based Ideas! 9. Common Sense Media – Aligning ISTE and AASL Standards to Instruction – VERY COOL! 2. Creative Commons Resources for Bloom’s Taxonomy – This is cool.